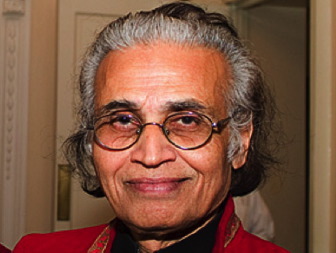 Dr Sunil Kothari, aged 80, has been active in the field of Indian classical dance from the year 1956 and was the youngest scholar to attend historic All India Dance Seminar in 1958 in DelhiSince then he has devoted his life to field work, research, learning Bharatanatyam and Kathak,to acquire practical knowledge and has written more than 16 books based upon his research and field work all over India visiting places of traditional performance, watching them first hand and writing about them, meeting gurus, exponents and observing the formsHis books are based on this field work and his own studies of Sanskrit texts. Besides his various articles on dance are in several anthologies on dance. has been contributing articles in various journals regularly. and by President of India with Padma Shri Award. Sangeet Natak Akademi Award for overall contribution to the field of dance. Gujarat State Sangeet Natak Akademi Award by the Governor of Gujarat. Awarded Fulbright Fellowship for residencies at The University of Georgia, Athens and The Evergreen State College, Olympia, Seattle.Travel award under Fulbright Fellowship to guest lecture at the three univesities: University of California: Berkely Riverside and World Arts and Culture, Los Angeles. Member of the jury for Kalidas Samman, selection of dancers for the 'Festivals of India' held abroad and for Khajuraho Dance Festival etc. Arts and Aesthetics, Jawaharlal Nehru University, New Delhi. Resident professor at the Dance Department of New York University, New York, USA for the year 1993 under Asian Cultural Council Fellowship, New York,USA. Member of the Executive Commiteee of International Dance Council, UNESCO, Paris. Participated in several international dance conferences both in India and abroad. Lectured at the Universities in USA: New York Univeristy; University of Georgia, South Asia Department of University of Atlanta, University of Minneapolis/Minnesota, University of California, The Evergreen State College, Olympia, Seattle, University Stony Brook University, Long Island;, University of Houston and various Musuems, The Asia Society, New York, New York Public Library, Lincoln Centre; Swarthmore College, Philadelphia etc.